This elegantly simple image was designed to highlight a complimentary chauffeured transfer service. In order to shoot the various elements and background, the photographer created an elaborate lighting set up in his studio to reflect the colours of the new Qantas uniform. 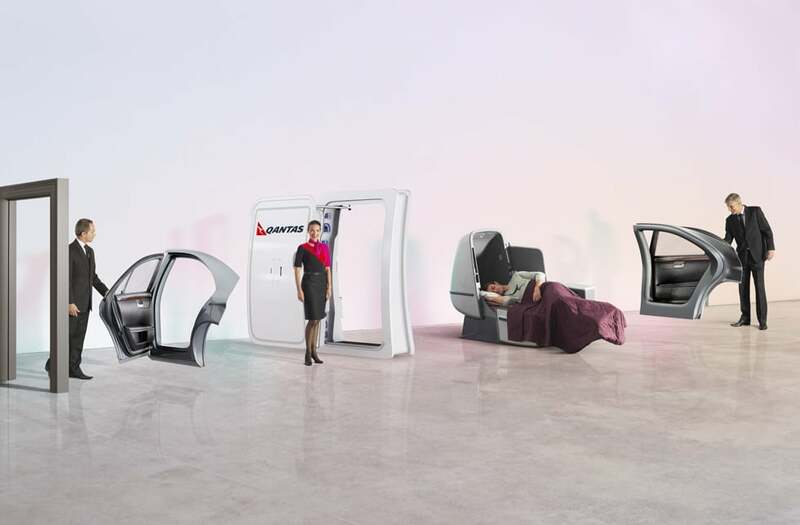 The plane and car doors were created in 3D, which were then inserted into the final image and positioned to interact with the talent.